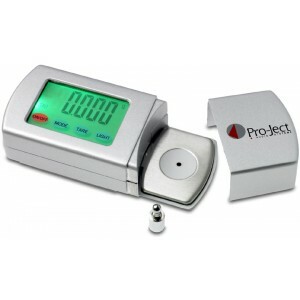 Pro-Ject Measure-IT 2 digital stylus force gauge is the latest version of this highly accurate tool for measuring stylus force. The precise position to rest your stylus and digital display ensure you can adjust your turntable very accurately for correct stylus force on your phono cartridge. Why be so precise in setting stylus force on your turntable? With the physical contact the stylus makes with the record and tiny audio signals being taken from your phono cartridge, having the correct downforce on your stylus is vital both for the best sound quality - and to avoid damage, to either stylus or vinyl. 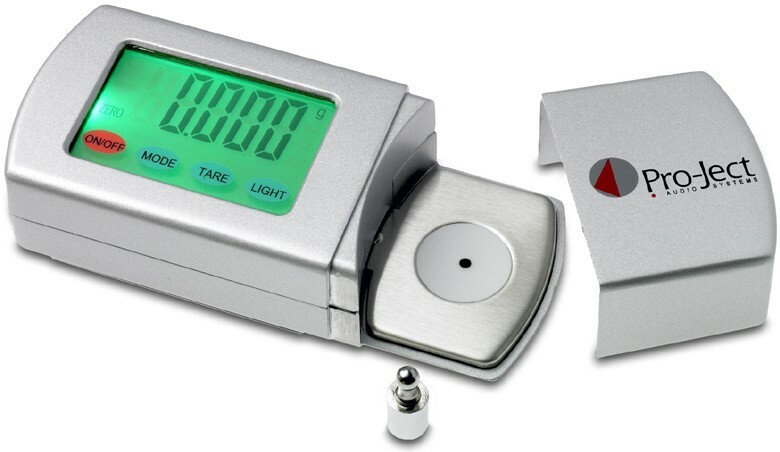 This gauge is able to measure tracking weight to accuracy of 0.002g, you can set your cartridge up with the utmost accuracy. We use this one in the audioaffair showroom since 2008 and have found it to be one of the best made, best value high accuracy gauges available.